It seems that nowadays, everyone has a kit for this car or that car. 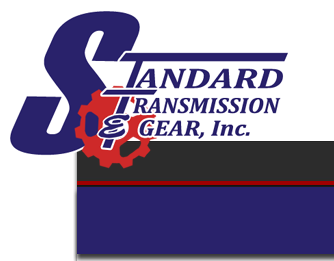 The kits can be as plain as a transmission & yoke, or as elaborate as having everything from the transmission to a little decal that indicates you have a 5 speed. We tend to believe that if a guy can change a transmission out, he can probably move a crossmember back, do a bit of tunnel fabricating, and knows a good driveline shop to get the driveshaft shortened. Keep in mind that many applications will require tunnel modifications as well as driveshaft & crossmember mods. We don't sell kits with crossmembers, tunnels, or driveshafts, as these are typically items that drive the prices of some kits way up. 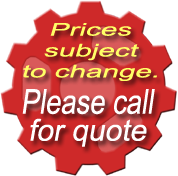 You can have a driveshaft shortened for about $75.00, and a crossmember reworked for about the same money. The chart below will give an idea of our kit and what's included. We realize that there are some people who haven't done much wrench turning, and they need a little something extra. 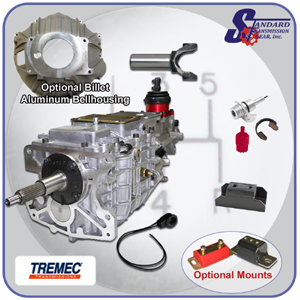 If you don't have the expertise or time to get your car converted from a four speed to a five speed, we can sell you a kit and install the components in your car. Call us for details. We also sell McLeod clutch sets for your high performance needs.